When you help others, you help yourself. Literally. I am not just talking about getting some warm and fuzzy feeling in return, but actual physical means as well. When you learn to trust in giving and the idea of abundance (rather than exclusivity and disparity), positive things start to sprout up in your own life. A new work opportunity, a new mentor, a new book which shows you the way, funds are sent your way when in need, you find a car or house just when you need it, etc. For me, abundance means getting what you need right when you need it. The Abundance Projects was created to spread abundance, opportunity, health, wisdom, and an elevated state of living to everyone in the world. The purpose of “The Abundance Projects” is simple: for the best and highest good of all. Rather than just being some fanciful, rarefied utopian idea that we chat about around the fireplace; it is an action-oriented organization. I un-officially started “The Abundance Projects” around a year ago. I started to let go of the old-world structures of grasping, hoarding, holding on. I thought that the only way to be successful and have security for my family was to save money, to watch out for my own, and to be a shrewd investor/business person of sorts. 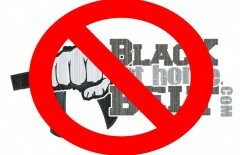 I have never been one to purchase lavish materialistic knick-knacks, but at the same time, there was mindset of lack. I began to donate more money to various charities and people in need, even at a point in time when my own family was on a thin budget. I am not saying that we were deeply in trouble, but there was a general air that we needed to buckle down (we just had our 2nd child). I had a satori. It seemed that whenever I did donate/pass on energy to others, I never fell down the hole, we seemed to be okay. That fear of not having enough has literally never materialized after passing along energy like this. (money of course is just a form of energy being transferred back and forth for various outputs, rather it be working with your body or brain, or selling a physical item or idea). Many people think, “How can I give someone $50? I don’t even have enough money for my kid’s karate classes this month, etc.” Of course, many people are in dire situations, and definitely need to put themselves first. But, if you happen to be in a circumstance of reasonable privilege, take these opportune points into deeper consideration. I don’t want this to turn into an opinion piece, judgemental article, or philosophical rant – that is not the point here. What I am trying to explain, is that spreading abundance is really important to me (and the entire Black Belt at Home team). We truly believe in putting the best and highest good ahead of our own self-serving desires. 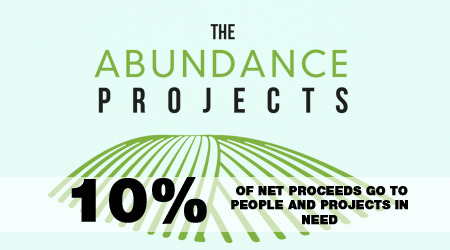 We continue to be committed to donating about 10% of our surpluses (profit) each month to abundance projects. I hope in due time that we can expand this to an even larger number. I think that it is okay to be in business, it is okay to provide great value for others and to take care of your family for it. There is nothing wrong with creating, innovating, growing, and making positive waves throughout the world. But, I don’t want to do all of that, and eventually only have a luxury car and a few nice vacations to show for it. Let’s come together, and change the way businesses and people interact. I want to be completely straight with you. This is not for publicity, this is not a marketing-scheme, “The Abundance Projects” was not born with the intention of selling more stuff. I do think that many of our students and prospective students will support our mission here. But, we do not want you to make a final decision on joining one or our courses because of this. We hope you choose to train with us because of our training materials, home study system, and instructor support – not because we have a “charity.” These projects do not affect the quality of our training courses or support of them – we work full time for the University and this is not changing. The Abundance Projects is not so much a “side-project” but just something that we choose to interlace within our lives and work. This is not really a charity or a registered 501(c)3. We are not even asking for donations at all. I simply want to communicate with all of our students and futures students about The Abundance Projects. What are The Abundance Projects? At this time, we are supporting various abundance projects around the world, and actively looking to get involved with more. In the near future, we aim to start our own local abundance projects in our own community (recycling, organic gardening/farmer’s market, renewable energy cooperative, wellness center). These will all be sustainable operations, providing good jobs and net-gain impact for the local community. How is this related to your martial arts university? It is not directly related. 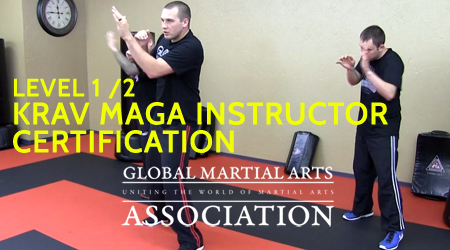 This positive-good organization does not affect the quality of our martial arts instructional courses, training, or support. You can essentially ignore this and simply enjoy our training. But, this is something that we believe in, and want to do. We would like to support more abundance projects, in the realm of martial arts, if you have a project that falls within our criteria, please suggest it to us. 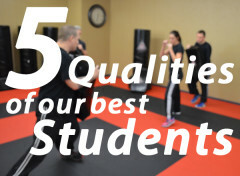 Why are you working with martial artists? Well, that is my life. I train, learn from, chat with, and spend my days with martial artists. From beginners to master black belts who run their own schools. 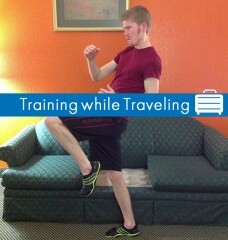 Martial artists are very special. They tend to be leaders. In martial arts training, we learn to respect others, be humble, push our own limits, go after challenging goals, and make everyone around us better. These qualities translate very well into action-oriented projects. You have the power and skills to help a lot of people. I think that being a martial artist is quite prestigious, as you have started to work on self-mastery, and then, eventually turn to serving others over serving yourself. How can you support The Abundance Projects? Anytime you purchase one of our courses/DVDs/pay us for anything – you are supporting it. You do not have to do anything at all. If you want to help propel some of the specific projects forward, via some social media posts, or good ol’ fashioned conversation, that is great. If you have a project yourself (or know of someone in your community looking for help), please have them submit their project to us below. Are you just giving handouts to people? I don’t believe in handouts, it ends up being money squandered. We prefer to help others help themselves. The projects we support tend to help individuals improve their own lives on their own accord. Handouts simply create a cycle of expectation and limited progress. “Handouts” (which is a term that can mean many things) can be useful in short term situations, but is never the right long term solution. Can I suggest a project to you for funding? We are not looking to support for-profit businesses right now. Our main aim is helping individuals like yourself, to finally have the courage to act on your dreams of creating positive change. If we can send you some funds, share your idea with all of our students, we can create a synergy. If you have a project of your own that meets our criteria listed above, please fill out this form and suggest your project to us for review. We will do our best to get back with you soon, and let you know if we can help out right now. Our organization’s surplus can only support so many projects at the moment, but the idea is, to have that abundance exponentially grow while helping others. So, even if we cannot help right now, we will do our best to soon enough. Thanks for taking time out of your day to read this long message. I hope it resonated with you at some level. P.S. Please do leave a comment with any ideas that you may have in regards to The Abundance Projects, or your general thoughts on this program.